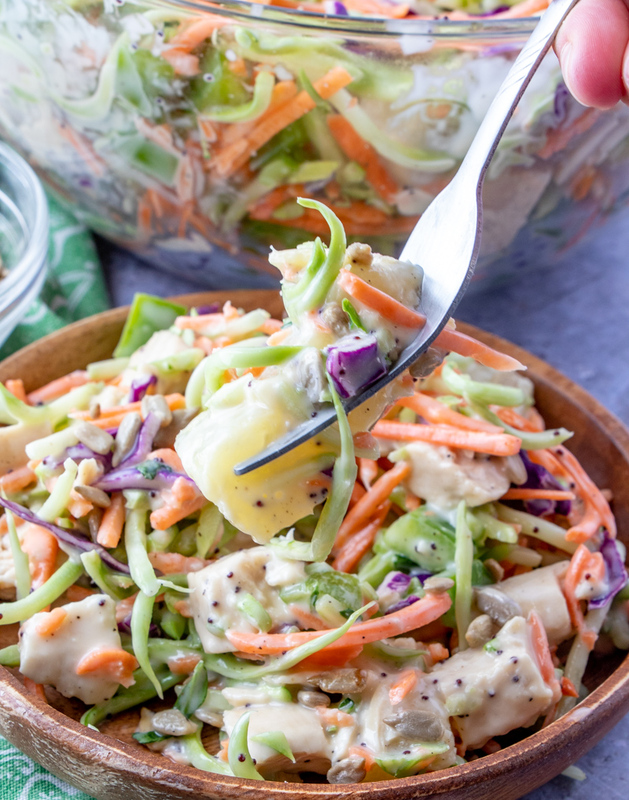 This easy spring and summer salad is delicious, and perfect for any picnic, barbecue or lunch! Also great with turkey or ham if you're looking for ideas to use holiday leftovers! Looking for more recipes, books, food and travel fun? Follow me! It doesn't get much better than springtime in Minnesota. There's something about the bird's chirping, rhubarb popping out of the ground, flowers, green grass and a warm breeze after a long winter. All of these things make me think of picnics and BBQ's and today's recipe is absolutely perfect for both! It's also a great timesaving recipe for those busy days when you don't have alot of time to throw something together. I'm a huge fan of buying rotisserie chickens at Sam's Club, or my local grocery store, as I'm sure most of you are! They make a great dinner on the fly, or bring them home and save the chicken for future meals! I usually grab two and use one for each. We love making chicken salad sandwiches, putting the chicken on caesar salads or making casseroles. My daughter is super picky, and she always devours rotisserie chicken, so it's defintely a win for dinner at our house! 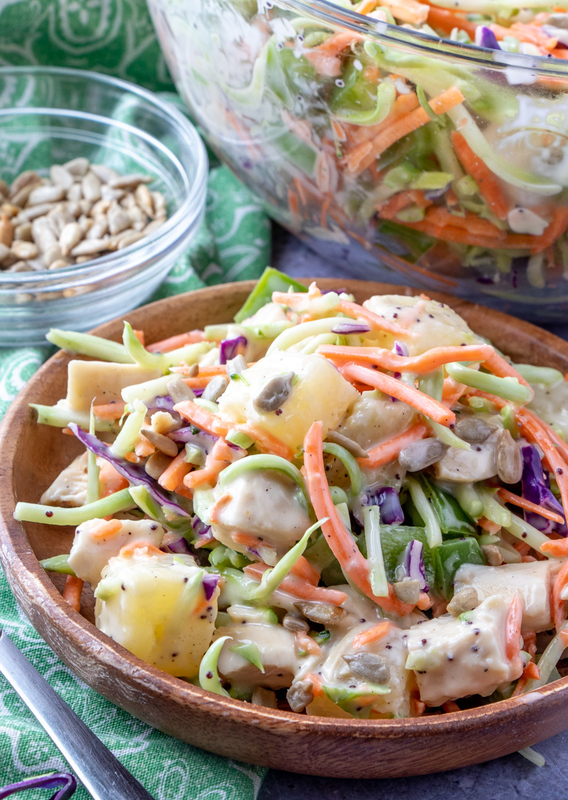 This Crunchy Poppyseed Chicken Salad is always a hit. We just love the sweet and savory flavor combo and not to mention, it's packed full of delicious vegetables. 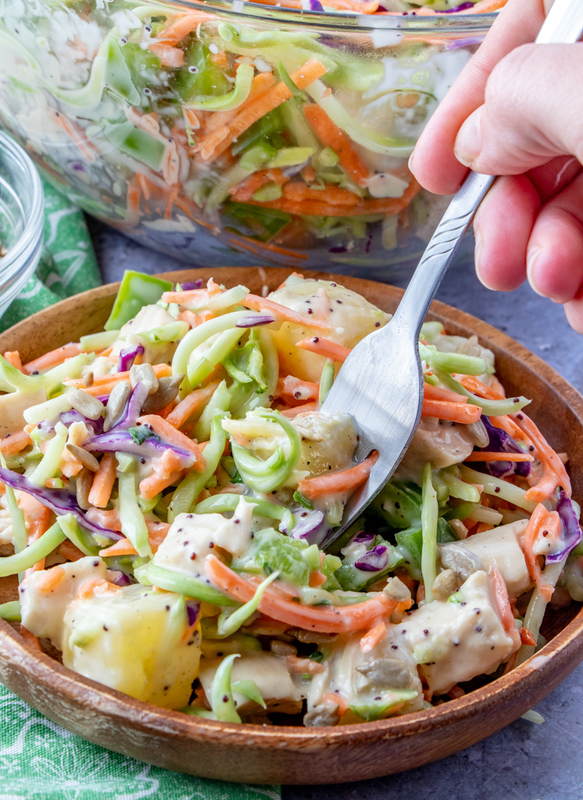 It's a salad that holds up well, because the veggies are so crunchy. 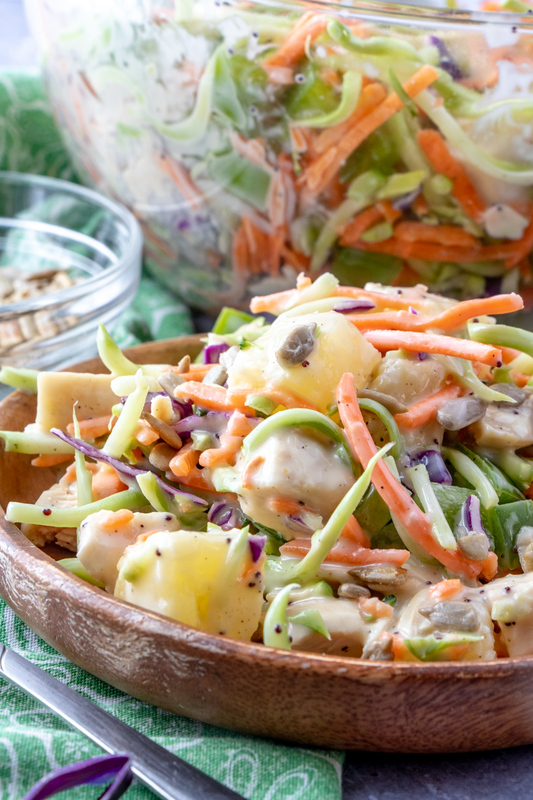 We love taking it to potlucks, picnics and even serve it as a side with some grilled chicken, pork or beef. 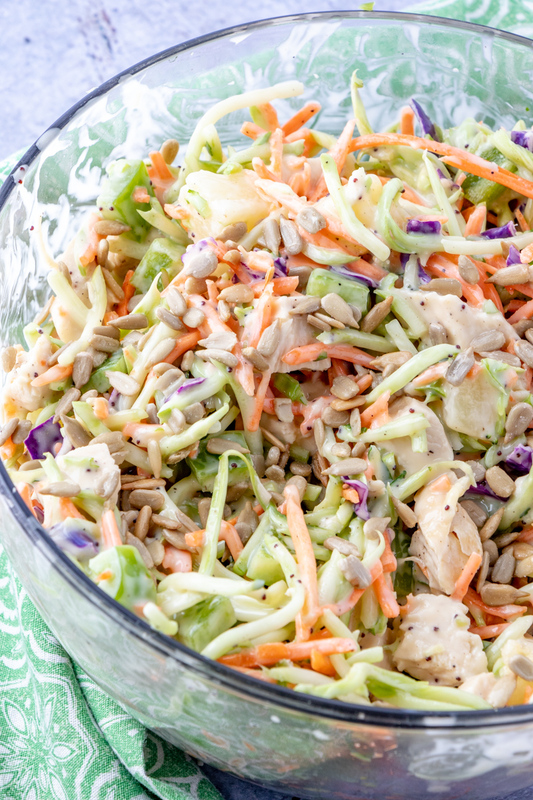 When you use the leftover rotisserie chicken, it takes minutes to chop a few veggies, dump the pre-made broccoli slaw and shredded carrots in a bowl and toss. Anyone can throw this recipe together, even the kiddos! You can also jazz it up by using different proteins such as leftover turkey, ham or even bacon! Try adding some green onions, pepitas or even a different salad dressing. It's so easy to customize depending on what you like, or what you have on hand. I'm always experimenting and trying different ingredients in the kitchen. I think of it as a fun Chopped challenge at home, and usually end up with something amazing that makes an appearance regularly on the menu. 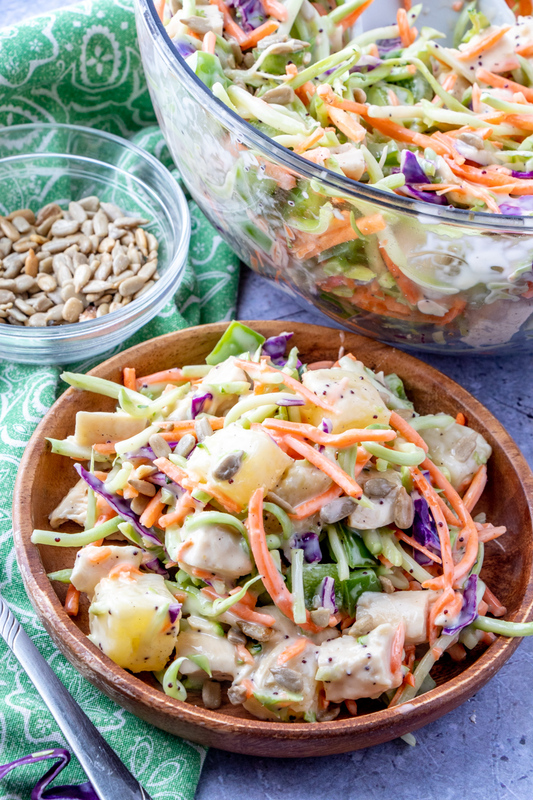 Combine all ingredients except dressing and sunflower seeds in a large bowl. Sprinkle with sunflower seeds. Refrigerate until serving. Thanks for sharing this one. Love the broccoli slaw. This would be good when it finally gets warmer. I'm waiting. So is my garden. You're welcome, Linda! 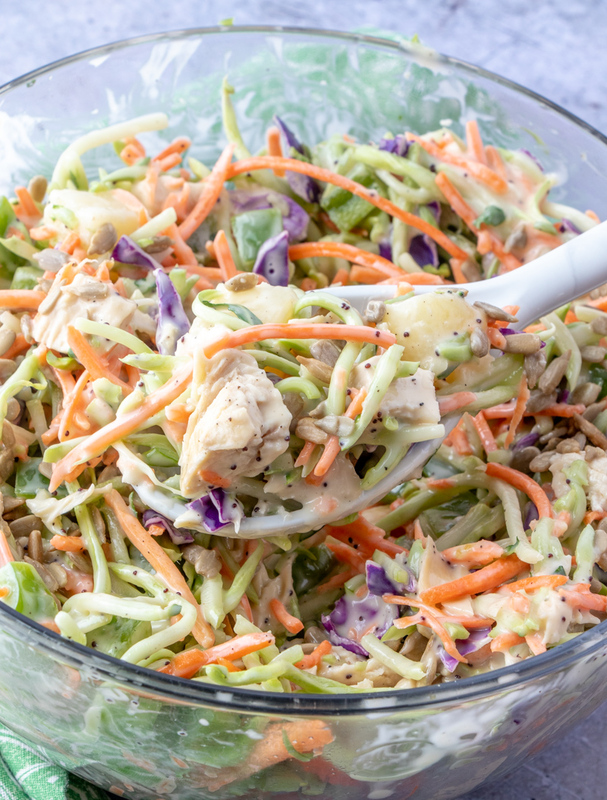 I think after making this recipe, broccoli slaw is a new favorite! Thanks for stopping by! Sounds so yummy and light!! It is! We loved it. Thanks for stopping by! This sounds fantastic. Love the mix of flavors in the salad. Sounds perfect for a potluck or BBQ. I'm not a big salad lover, but you dress it up with all these yummy ingredients and I'll have seconds! Looks amazing. What a great summertime dish. Thanks so much for linking up at Weekend Potluck. 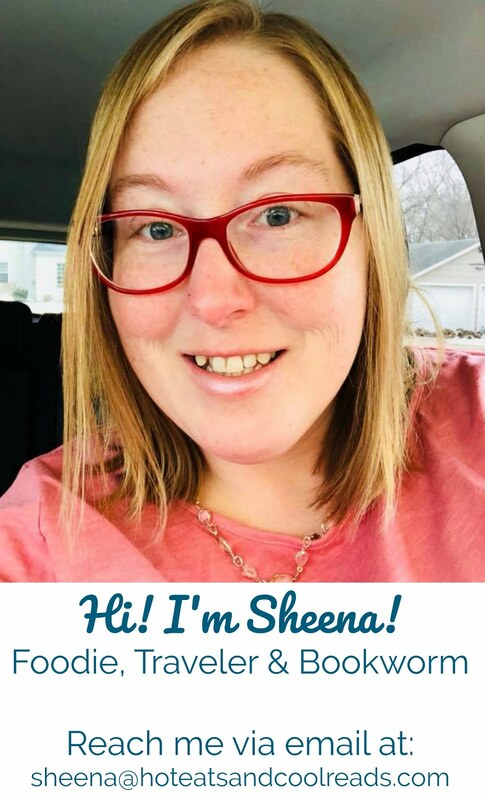 Sheena - this yummy salad is my personal favorite at Weekend Potluck today. C'mon over and grab your featured button....and enjoy a wonderful weekend! !